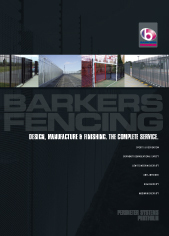 Barkers Fencing Forged head railings are aesthetically pleasing, and hot dipped galvanised for a long life. Up to 3.0m tall and produced from solid round or square bar or hollow section infill with your choice of ornate finial tops. Available in flat or channel section. Intermediates, Corner and End and are available in a wide range of sizes and materials including: RHS and RSJ, with the provision to be stepped or cranked to suit site conditions, secured in concrete (supplied complete with two optional support legs per standard panel for concrete-in fixing) or base plated for surface mounting. All posts come with welded steel caps. 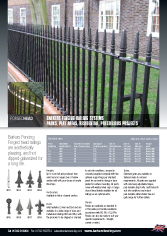 A range of post head details available for all railings as an optional extra. 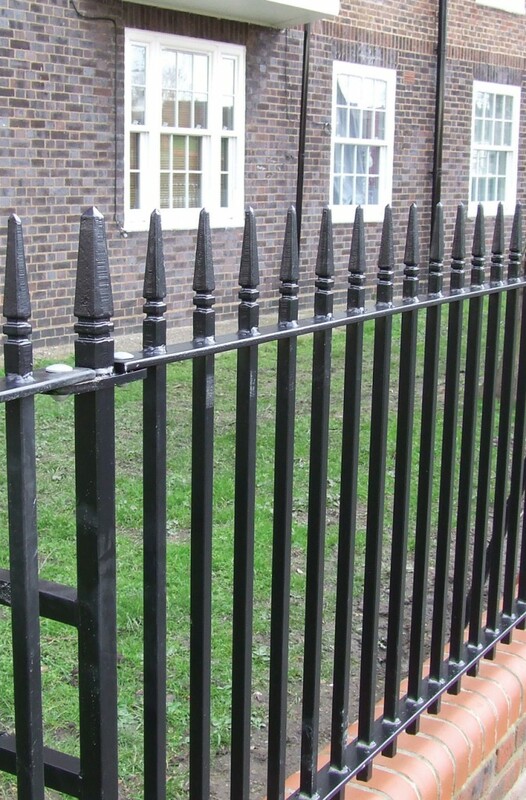 Panels are available as standard to 2.75m wide post centres welded in accordance with BS: EN: 1722 Pt9. 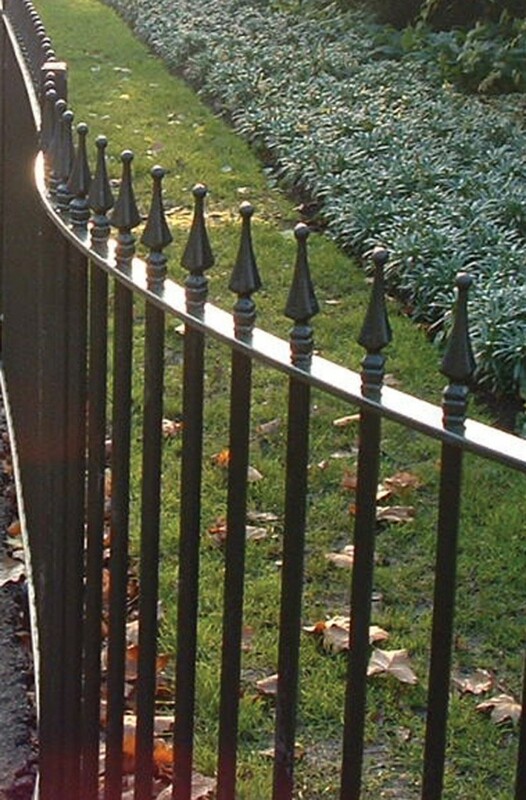 Panels can also be made to suit your specific requirements – straight, curved or raked. Forged Head available in Finial or Ball. Standard gates are available or tailored-made to suit your requirements. All gates are supplied with side hung adjustable hinges, pad-lockable drop-bolts, multi-holed to suit site conditions and robust pad-lockable slide latches. See our gate range for further details.